—— high-fat foods raise blood cholesterol and cause heart disease. Just as with blood pressure, current medical practices concerning cholesterol are not based on good evidence, indeed they run contrary to the best evidence. And again just as with blood pressure, a few popular writings as well as the medical-science literature have been pointing that out for a decade or two or three. How then did the mistaken view come about, that “high” cholesterol makes for heart disease? Just as with blood pressure: Through misinterpretation of statistical data, in particular making the mistake of treating correlation as causation, taking symptoms as the actual cause of illness, and failing to take certain variables into account when looking for correlations. 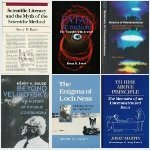 All this and more was set out in great detail a dozen years ago by Uffe Ravnskov (for what it’s worth, he had earned both an M.D. and Ph.D.) in The Cholesterol Myths: Exposing the Fallacy that Saturated Fat and Cholesterol Cause Heart Disease (New Trends Publishing, 2000). There is a great deal of pertinent information at Ravsnkov’s website. Nearly a hundred doctors and scientists endorse his heretical views about cholesterol. A comprehensive and critical review of Ravnskov’s book finds its main points to be sound: “Despite its flaws, The Cholesterol Myths is a very important book. It convincingly demonstrates that there is something seriously wrong with the mainstream theory of heart disease. It . . . makes a compelling case against the use of cholesterol-lowering drugs”. Ravnskov has also discussed in detail what the causes of heart disease might be. Graphs like the one shown above can be misleading. Lack of correlation across whole national populations may hide quite different relationships in smaller groups. 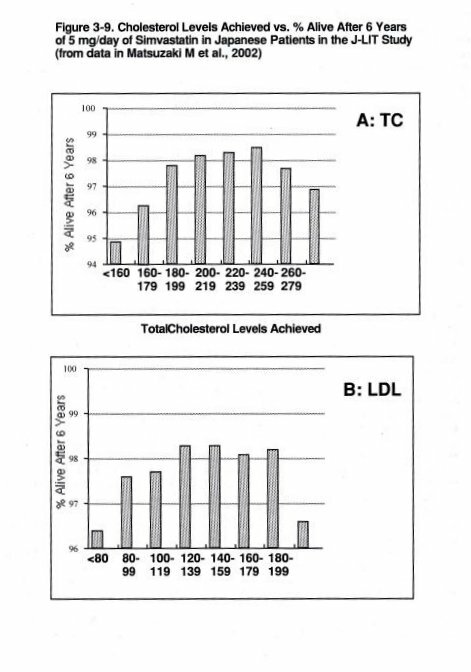 To determine whether cholesterol levels actually correlate with heart disease, one ought to eliminate all other variables; for instance one might look at males of a certain age and ethnicity with similar lifestyles including diets — individuals who differ only in cholesterol level. Such studies are impossible, because the number of possibly influential variables is too great, but this train of thought shows that one should gather information from as many different studies with different groups as possible. Here are a couple that concur in finding “high” cholesterol innocent. Among Japanese being treated with a statin, mortality was lowest with total cholesterol at 240-259, and mortality increased markedly when cholesterol was lower than about 180; it increased less markedly with cholesterol levels above about 260. Even more contrary to the conventional view: “Bad” cholesterol (LDL) between about 120 and 200 made for the lowest mortality, and mortality increased perceptibly when LDL was lower than about 120 and was much higher with LDL below about 80 or above about 200. 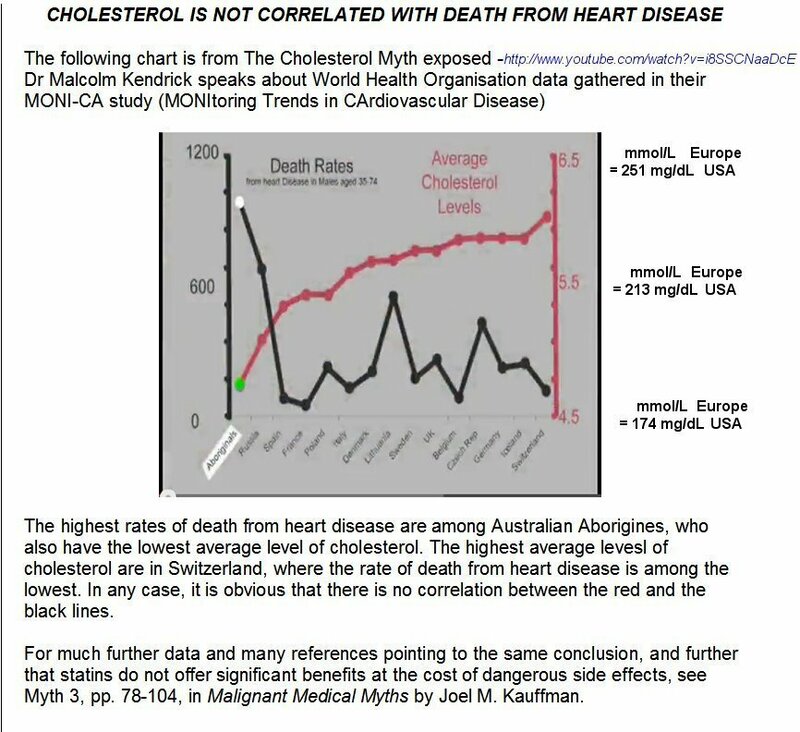 These cites are just a tiny sample of data in the scientific-medical literature contradicting the popularly disseminated view that high cholesterol is bad and that the lower it is, the better. As mentioned in an earlier post, “The Institute of Medicine Report, Evaluation of Biomarkers and Surrogate Endpoints in Chronic Disease (2010), finds that none of the commonly used biomarkers is a valid measure of the illness it supposedly tracks. . . . None of the commonly used biomarkers for heart disease are valid indicators of heart disease: . . . not overall cholesterol or LDL (“bad” cholesterol) or HDL (“good” cholesterol) — all those are statistically correlated with cardiovascular disease and mortality, but none of them are correlated 100% with those and none of them is indicated to be a cause of heart disease or a contributor to heart disease” [emphasis added]. 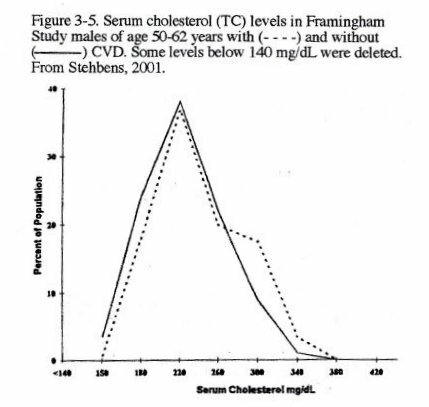 Therefore one should not be surprised that lowering cholesterol has not been shown to be of benefit: “There are no valid data on the effectiveness . . . [of] statins” (Järvinen et al., British Medical Journal, 342  doi: 10.1136/bmj.d2175). 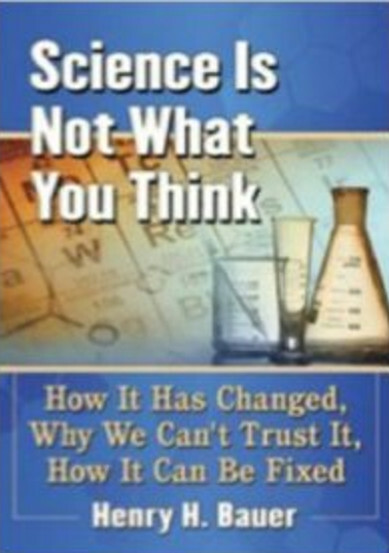 The more one compares the scientific medical literature with what is disseminated by such official agencies as the National Institutes of Health or the Centers for Disease Control & Prevention, the more one finds that the public is being dangerously misled. Definitions of disease and recommendations for treatment run contrary to what the soundest research studies indicate. Those of us who are not professional researchers are rightly hesitant to question what the experts and their organizations tell us. 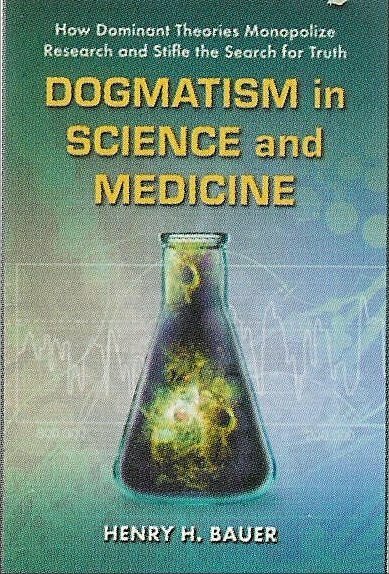 However, it is worth bearing in mind that experts specialize, to an increasing degree as science progresses, and any given expert knows more and more about less and less, as the saying goes. 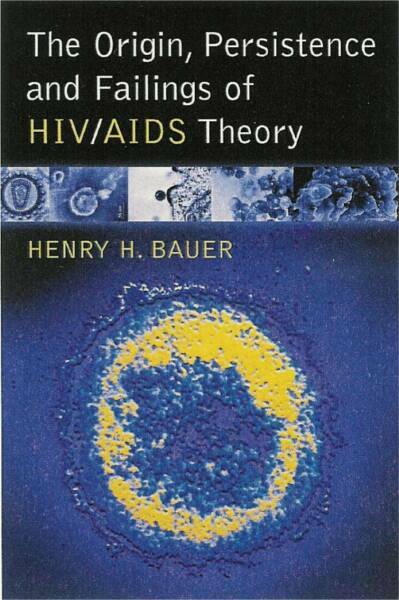 Researchers seeking vaccines against HIV, for example, don’t concern themselves with the epidemiology of HIV or of AIDS and are therefore unaware that HIV is not correlated with AIDS and is therefore not the cause of AIDS (see The Origin, Persistence and Failings of HIV/AIDS Theory). Since the experts don’t see the forest, only bits of individual trees, and since their institutions disseminate conclusions and assertions for bureaucratic self-promotion and without independent review, a commonsense approach can serve us well when considering how much credence to give to official pronouncements. In the case of cholesterol, one might ask, are there other cases where a substance that the body needs, makes, and uses has been implicated in causing disease? Since the body manufactures cholesterol, there exist feedback mechanisms regulating the process. There could only be too much cholesterol if that regulating system had gone out of whack. What evidence is there that this is the case with levels of cholesterol in the range 200-260, which are associated with the lowest mortality from heart disease? Since cholesterol is being continually manufactured and used, what evidence is there that the level in blood at any given time is even a meaningful measure of cholesterol-associated reactions and phenomena? Where is the evidence of benefit from reducing levels in that range of 200-260 to the current aim of 200 or less? Similarly with LDL. And anyway, why should all individuals be treated to bring their individual characteristics to some population average? This entry was posted on 2013/03/25 at 12:06 pm	and is filed under medical practices. Tagged: cholesterol is beneficial. You can follow any responses to this entry through the RSS 2.0 feed. You can leave a response, or trackback from your own site. Henry: In most cases, it’s best that the public views the healthcare and pharmaceutical industries like any other con – if it sounds too good to be true, it probably is. Don’t forget the “seven-year rule” – If the drug or procedure has been on the market less than seven years, weigh the pitch like a parking lot Rolex or Nigerian bank scam – ESPECIALLY if the pitchman has a medical degree. There are various causes of high Cholesterol that can lead to a critical heart problems.